With a stay at Hotel Soberanis, you'll be centrally located in Cancun, steps from Ceviche Square and minutes from Las Palapas Park. This hotel is within close proximity of Benito Juarez Municipal Building and Cristo Rey Church. Make yourself at home in one of the 32 air-conditioned rooms featuring flat-screen televisions. Complimentary wireless Internet access keeps you connected, and cable programming is available for your entertainment. Bathrooms have showers and complimentary toiletries. Conveniences include phones, as well as laptop-compatible safes and desks. Satisfy your appetite at the hotel's restaurant, which serves lunch and dinner, or stay in and take advantage of room service (during limited hours). Mingle with other guests at a complimentary reception, held daily. Quench your thirst with your favorite drink at a bar/lounge. English breakfasts are available daily from 7 AM to 10 AM for a fee. 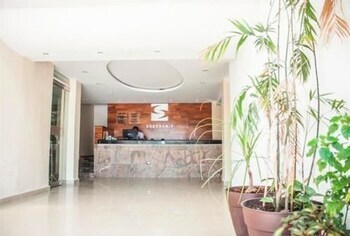 Hotel Soberanis is the perfect Cancun lodging choice for your trip to Mexico. 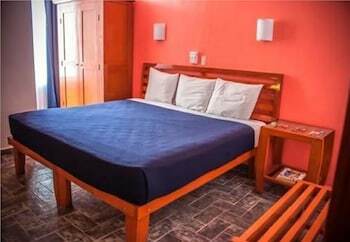 With numerous amenities for guests such as 24 hour front desk, dry cleaning service, laundry, you will wake up at Hotel Soberanis feeling excited every day for your time in Cancun. Don’t let this amazing reservation opportunity pass you by, book your stay at Hotel Soberanis today to make the most of your time in Cancun, Mexico.